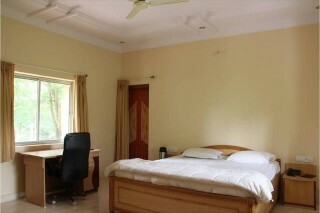 This is an offering of a private room in a cottage, which can accommodate up to three people. 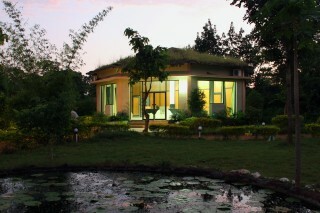 The property features a tranquil sit-out, and the room on offer is ideal for those seeking solitude. Breakfast is provided on request. Your Space Surrounded by lush green trees, this holiday home boasts a tranquil ambience that makes up for the perfect getaway spot for serenity seekers. 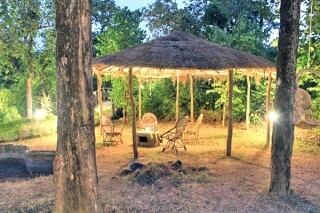 The property features a gazebo sit-out, where you can lounge with your travel buddies and unwind. 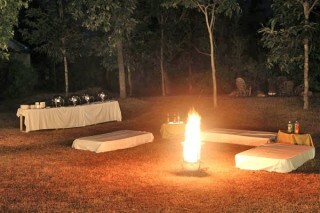 A bonfire setup is also provided that is perfect for those nights with a guitar and roasted marshmallows. 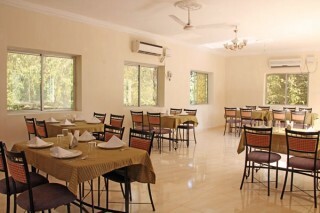 Inside, there is an in-house restaurant where you can relish your meals with ease. 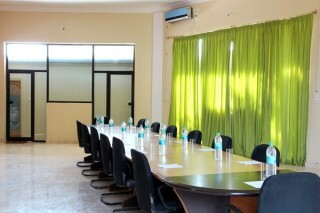 A multi-utility hall allows you to plan a gathering, if the need be. The room on offer is furnished with a comfy double bed, so you can engage in a serene slumber after an eventful day. 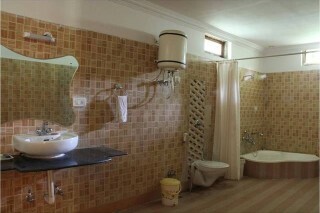 The en suite washroom is tiled and fitted with western sanitary ware. Create an experience of living in nature, with nature! Seoni Railway Station is just 35 km away. Dr. Babasaheb Ambedkar International Airport, Nagpur is just 187 km away.